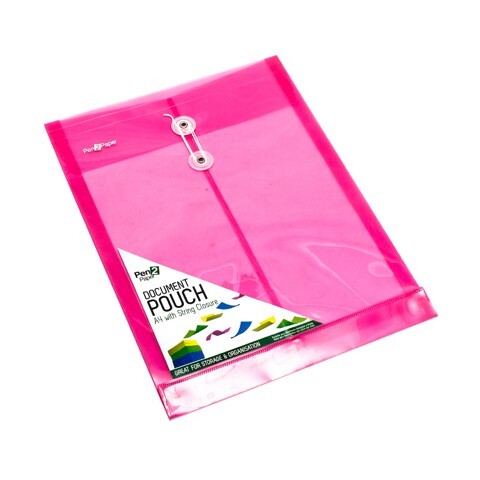 Document Pouch A4 4Asst. 24.8 x 32.5cm with 3cm Gusset Base. Pouch Colours: Yellow | Pink | Blue | Clear. PP. 36G Packaging: Bulk Pack.